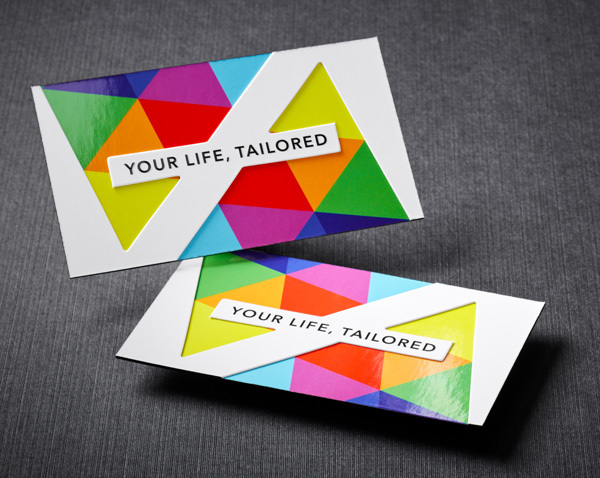 Thick, 2 layered business cards that combine two cards to create a top and bottom layer. 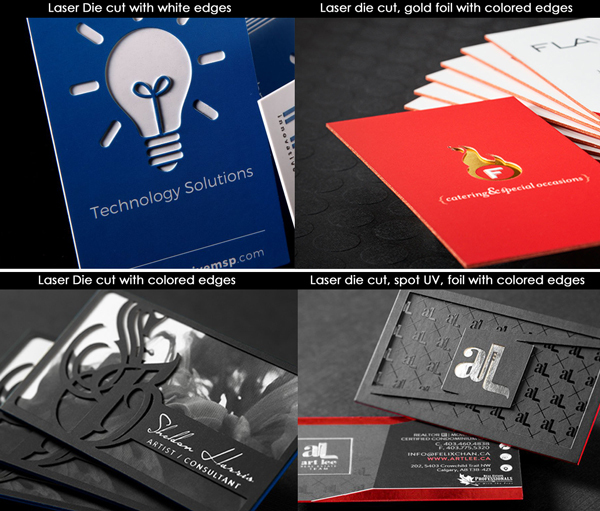 Each layer can be die cut, foil, emboss or deboss to create an eye-catching 3-dimensional look and feel. Unlike single ply 28pt. soft touch or 32pt. 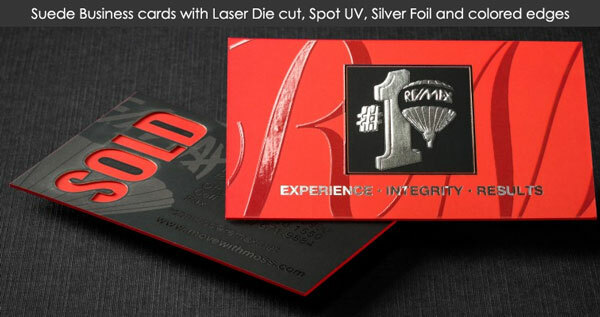 silk/suede laminated cards, emboss on top layer won't be visible on the bottom layer.